I have struggled with how to write this for weeks now. The escalation of emotions across the nation at the senseless and violent death of a boy on the brink of manhood is something none of us can quite fathom, quite accept and so we seek reasons for why it happened. What is it in our national psyche that causes us to seek justifications for what is inexplicable? Each time I have approached writing this epistle my heart cracks. I am reminded of the feelings my family felt; the hurts and anger they experienced when they thought they might have lost me to random violence. When I have tried to write, I am brought to my knees, my mind explodes with questions but the most important is why. 26-Feb-2012: Trayvon Martin a Black youth is found shot dead in Stanford, Florida. 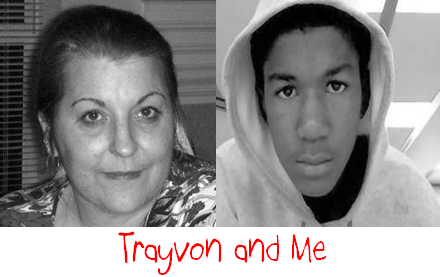 Trayvon is 17 years old, just a child, his entire life ahead of him. 7-Feb-1992: Valentine Logar a White woman is found shot three times in Fort Worth, Texas. Valentine is 34 years old, a mother of two young sons (read story here The Complete Story). What do the two crimes; twenty years apart have in common you ask, certainly on the surface they don’t seem to be linked in any way. There is no direct relationship between Trayvon and me, the relationship is one created by my broken heart over the lives lost in our nation, not just Trayvon’ s, but those of the three young boys, not yet men who lost their lives the night they tried to take mine. 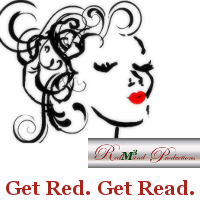 My purpose is to draw some parallels, in part because on 13-March-2012 the first of the three who shot me that fateful night was released from prison after serving his entire twenty-year sentence. He was born on 14-December-1975, he was just 17 years old when he was sentenced; he will be 37 years old this year. He has spent more time in prison than free. Trayvon died in his confrontation with George Zimmerman. There is a great deal of speculation that race played a part in Trayvon’s death, George Zimmerman determined Trayvon was a ‘suspicious’ character who did not belong and escalated a confrontation which ended in the death of Trayvon. Speculation aside, we know George Zimmerman stole this child’s life, we know this because George Zimmerman confessed to killing Trayvon. We currently have George Zimmerman’s side of the story; we have 911 calls and we have what many believe are questionable police procedures. We know one other thing right now, George Zimmerman is not sitting in jail, he is not out on bond either; George Zimmerman is a free man who after taking the life of a child is walking free in the community. Why do I draw parallels, why am I so bothered by this story? I keep wondering what would have happened if the roles would have been reversed, if the color of my skin had been Black and the color of my attackers had been White. Would the outcome been different? I have read the confessions of my attackers. I wasn’t the only victim; I was the lucky one though. One thing it is important to know bigotry and racial hate runs deep and runs all ways. It isn’t just White on Black, it can be Black on White or any other combination; the difference is we just don’t hear about it as often. 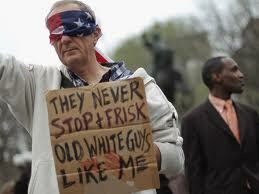 In their confessions, one of the key statements was their desire to “Kill White People”; this was their sole purpose. Three young boys, not even out of their teens lost their lives the night they tried to take mine. Recent history says if our racial make-up had been reversed, the outcome would have very likely been different. I am appalled by this, heartsick in fact. I do not have survivor’s guilt. My position hasn’t changed on forgiveness, remorse and reconciliation. Nor has my position changed on Justice, we all deserve it. This means Trayvon deserves Justice. 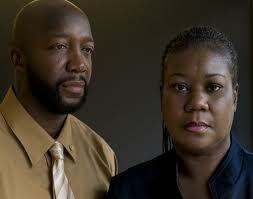 The Martins deserve justice for Trayvon. This nation deserves justice for Trayvon but more than this, our children deserve better from us. For our children who are losing their lives and futures before they have the opportunity to reach for it, we have to stand up and demand better. Our young boys and girls who are languishing in failing schools and communities without work for their fathers and mothers, they deserve more from us than our inattention or failure to engage. Our children deserve more than to be cannon fodder for the political warfare we are waging. Our children deserve more than another generation of sharing the yard, we already have three generations behind bars; are we willing to make it four? My heart is broken, not just for Trayvon and his family but surprisingly for the three young men who tried to take my life. I don’t forgive them their actions, but today I think I hurt for them.